Soft, gentle and multi-purpose, these brushes are perfect for styling and grooming eyelash extensions, in addition to removing eye makep and mascara with expert control. 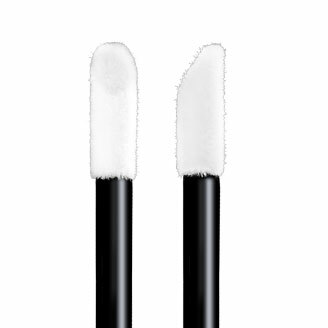 The unique applicator tip holds fluids in a non-drip suspension for targeted surface cleansing. 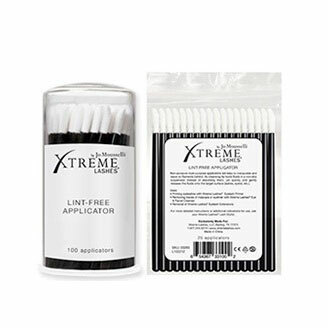 This versatile cleansing and priming tool is an ideal alternative to traditional cotton swabs, which contain fibers that may get caught between natural eyelashes and eyelash extensions. Available in a 25-pack and 100-pack. The unique applicator tip holds fluids in a non-drip suspension for targeted surface cleansing. This versatile cleansing and priming tool is an ideal alternative to traditional cotton swabs, which contain fibers that may get caught between natural eyelashes and eyelash extensions. Available in a 25-pack and 100-pack.